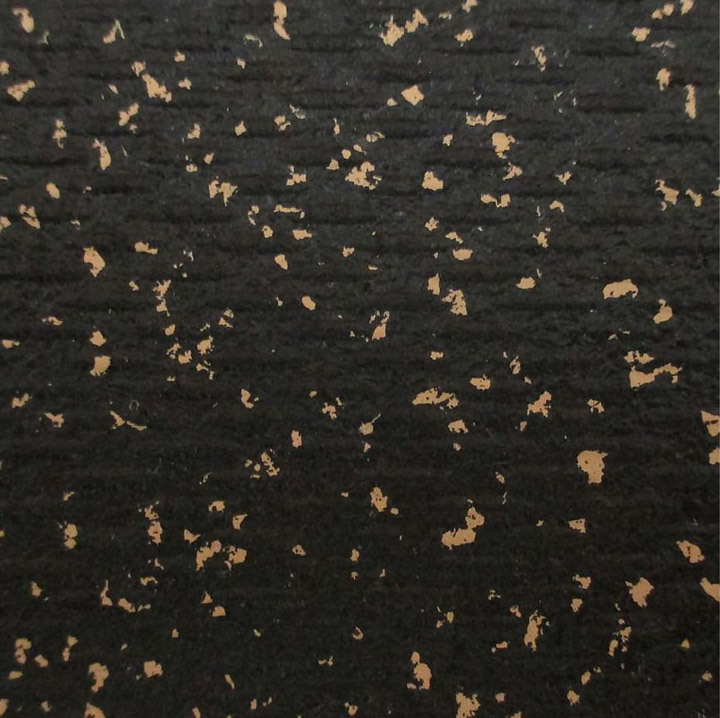 Loktuff Heavy-Duty Vulcanized Rubber Interlocking Gym Flooring - Made from 3/4" thick vulcanized rubber, this is the same material used in our heavy-duty deadlifting mats. Our vulcanized rubber demonstrates an extremely high tensile strength, even superior to virgin rubber, and can be used in any weight room that routinely experiences extremely heavy weight drops from kettlebells, dumbbells and barbells. This material takes the guesswork out of selecting the proper protective flooring and is recommended for any weightlifting environment. 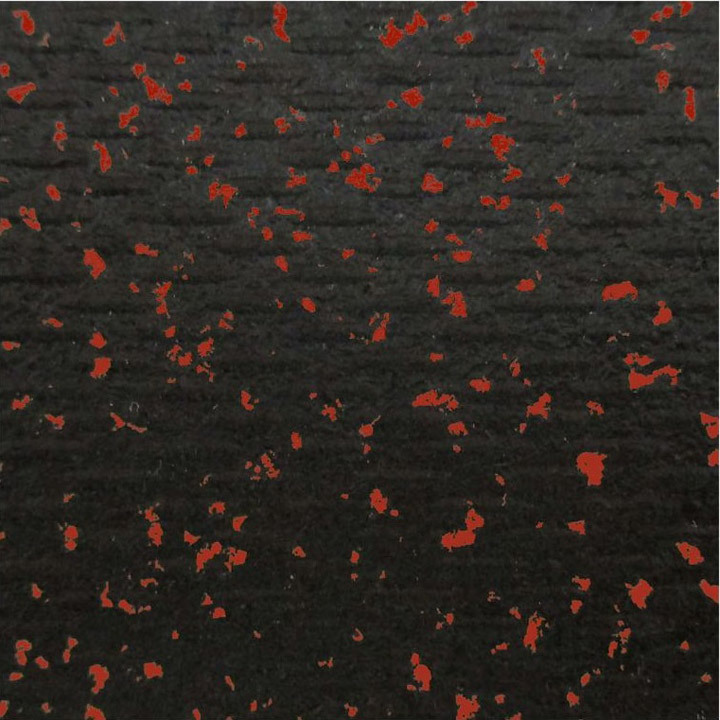 Loktuff rubber floor tiles for commercial gyms are also ideal for horse stalls. The inherent shock absorbing, non-porous, non-slip and tear resistant features make for a long wearing horse stall matting solution that is easy to install. Vulcanized Rubber Info and Advantages - Vulcanized rubber is produced using post-consumer products that include car and truck tires. Quality manufacturers such as Humane Manufacturing use what they refer to as "buffings" to produce their vulcanized product. Buffings are removed from the outside of the tire that contains no belts or wires and is easier to process. The buffings are then processed down to the proper size and then mixed with latex, sulfur, oil and a blend of colored granules if needed. There is also a neutral scented odor mitigate mixed in to significantly reduce the natural smell of the sulfur and other ingredients. This mixture is then baked at high heat between 300-500 degrees under extreme pressure of between 500 and 1,000 PSI depending on the thickness of material being produced. The freshly vulcanized material is then allowed to cool so that it can fully contract before being cut with a water jet into mats and interlocking tiles. One of the best attributes of the vulcanizing process is the strength it creates. Vulcanized rubber has a tensile strength rating of between 800-1,000 PSI. This is the amount of force it takes to pull apart the material. And because the vulcanization makes the material totally non-porous, there is no sealant needed and bacteria will not grow on it. 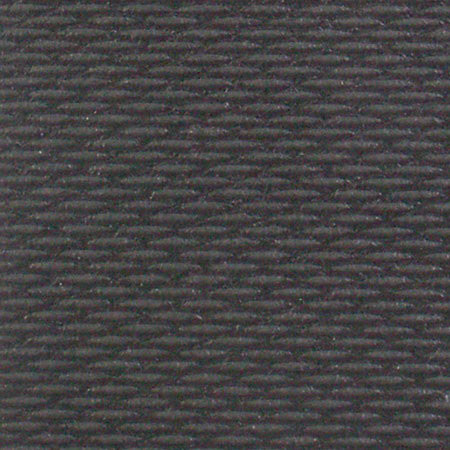 One other valuable tidbit worth noting is that since vulcanized rubber mats are pressed in a mold it is possible to texture the top of the mat to add up to 10% more slip resistance compared to a smooth mat. 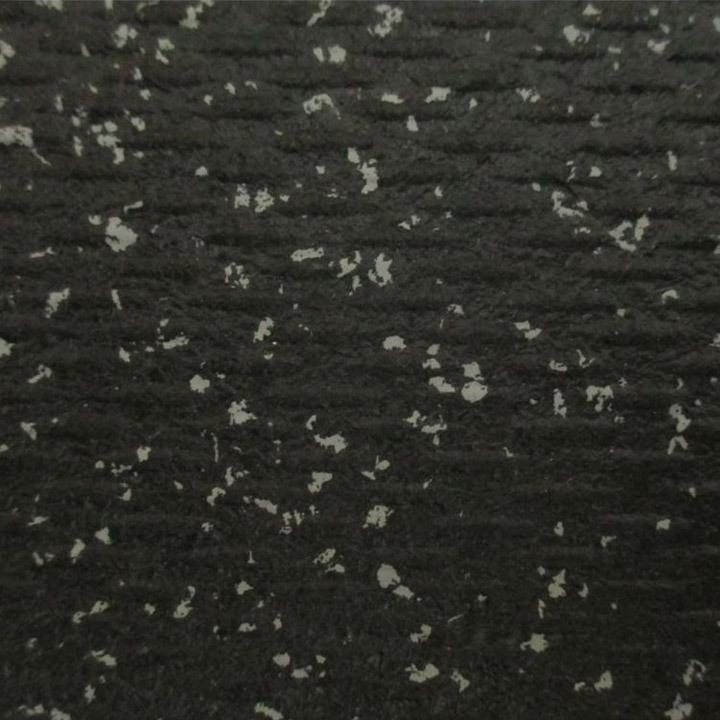 Vulcanized flooring materially speaking is about as good as virgin rubber at a lower cost. 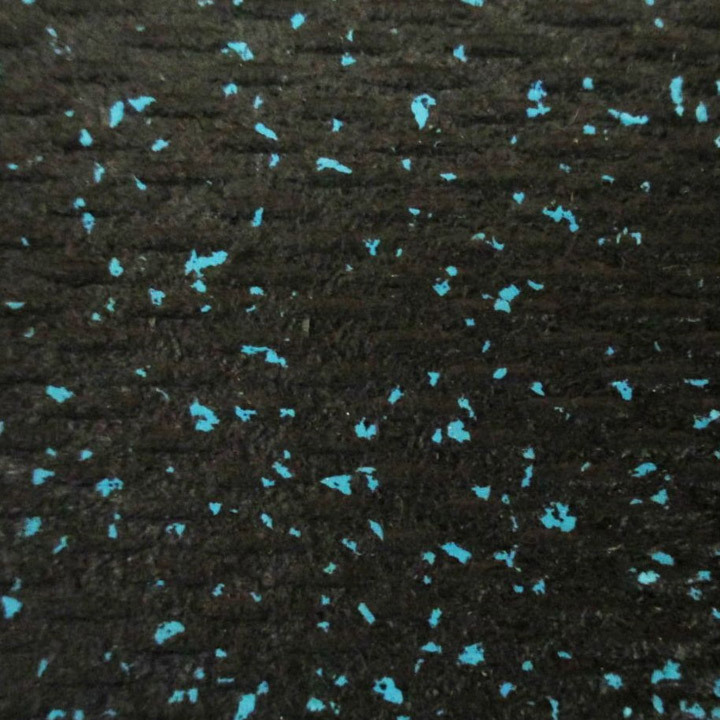 This material is suitable for home gyms, training studios, commercial gyms, agriculture, dog daycare, pet kennels and anywhere else a non-porous flooring is needed. No sealant is ever required and no bacteria will grow on it. Corner Tiles (Beveled and NON Beveled) 3' x 3' x 3/4" - Connect to center tiles or other border tiles. Select the NON beveled edge if installing against a wall. Utilize the beveled edges when transitioning rubber flooring to other flooring surface such as concrete, wood or ceramic tile. Actual tile dimensions are 34.5" x 34.5". Weight per tile is 36 lbs for Black and 38 lbs for Colors. Border Tiles (Beveled and NON Beveled) 3' x 3' x 3/4" - Connects to center tiles as well as other border and corner tiles. Select the NON beveled edge if installing against a wall. Utilize the beveled edges when transitioning rubber flooring to other flooring surface such as concrete, wood or ceramic tile. Actual tile dimensions are 34.5" x 34.5". Weight per tile is 36 lbs for Black and 38 lbs for Colors. Border Tiles (Beveled and NON Beveled) 3' x 4' x 3/4" - Connects to center tiles as well as other border and corner tiles. Just like the 3' x 3' border tiles with the added benefit of a longer tile which will yield less seams. Select the NON beveled edge if installing against a wall. Utilize the beveled edges when transitioning rubber flooring to other flooring surface such as concrete, wood or ceramic tile. Actual tile dimensions are 34.5" x 45.125". Weight per tile is 49 lbs for Black and 52 lbs for Colors. Center Tiles 3' x 4' x 3/4" - Connect each center tile to other center tiles or to borders and corners with or without beveled edges. Actual tile dimensions are 34.5" x 45.125". Weight per tile is 49 lbs for Black and 52 lbs for Colors. Center Tiles 4' x 6' x 3/4" - This is a massive interlocking puzzle mat which offers a protective flooring solution that includes less seams than other interlocking options. Connect each center tile to other center tiles or to borders and corners with or without beveled edges. Actual tile dimensions are 45.125" x 69". Weight per tile is 100 lbs for Black and 105 lbs for Colors.